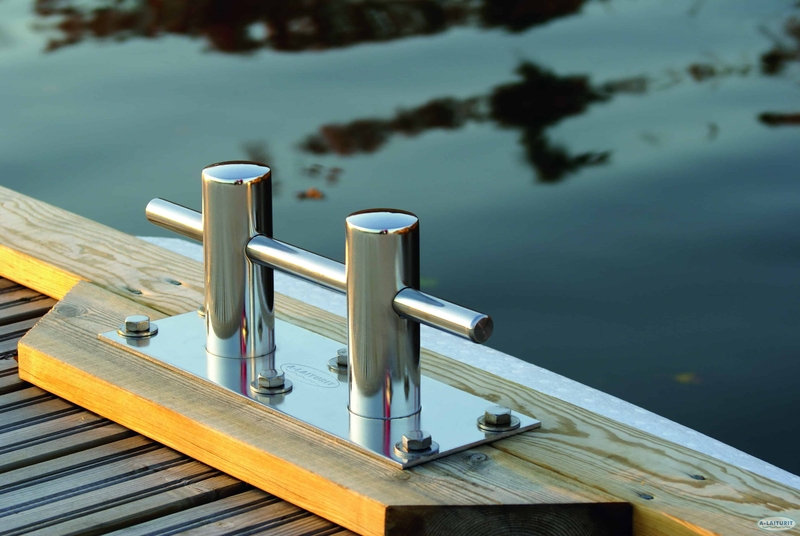 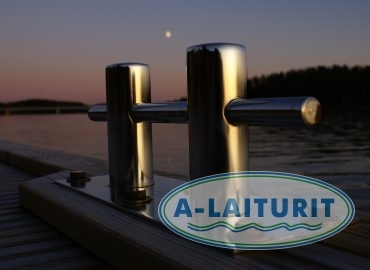 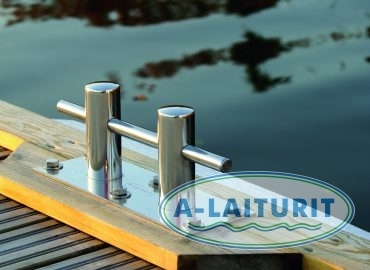 This stainless steel cleat, sophisticatedly evocative of traditional bollards, is remarkably strong. 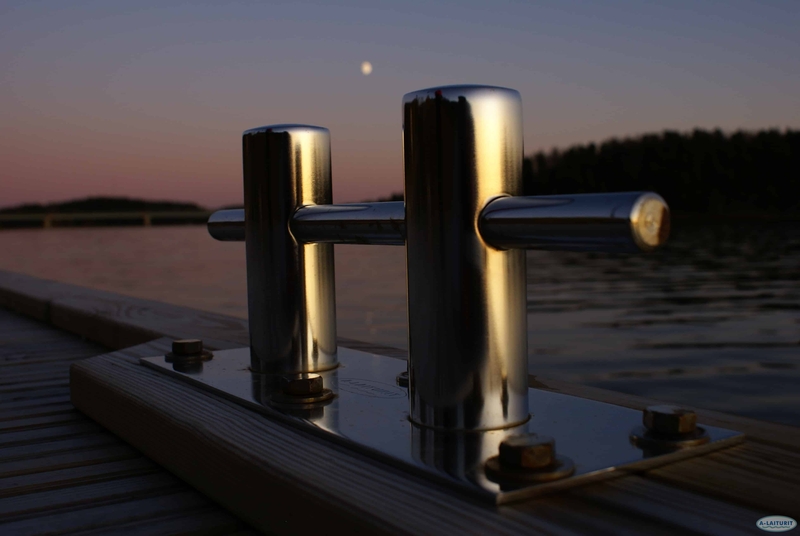 It is intended as a fastening point for mid-sized and even somewhat larger boats  as long as there are enough cleats in relation to the size of the boat and the predicted amount of strain is observed during installation. 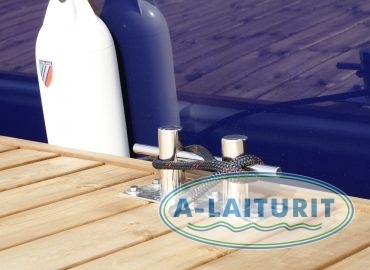 If the boat is moored sideways to the dock, it should be attached to a minimum of three cleats, whereas if the end of the boat is moored to a buoy or boom, at least two cleats are necessary. 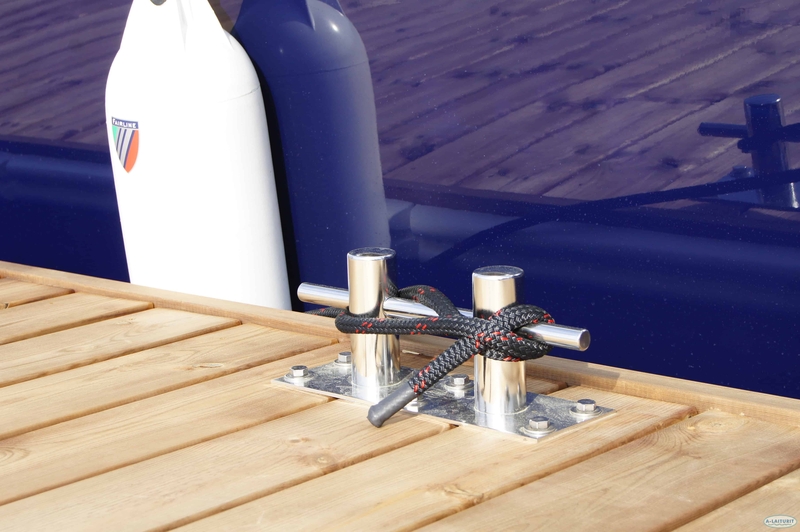 For attachment ropes so-called rubber springs are recommended as they dampen the effects of hard winds and waves.